It was with great interest, astonishment, amusement, and pleasure watching “BHL” (Bernard-Henri Lévy) engage in a highly theatrical and passionate discourse on recent developments in the Arab world, i.e. Egypt, Tunisia, and Libya, on the Al Jazeera English channel with Riz Khan. I had to admit to falling yet again under his mesmeric spell. As a passionate and idealistic young woman, I had a little crush on Monsieur Lévy. Henri Lévy was conducting a heated political discussion – NOT on CNN, NOT on Bloomberg or CNBC, as one might expect, but with Riz Khan on Al Jazeera English. 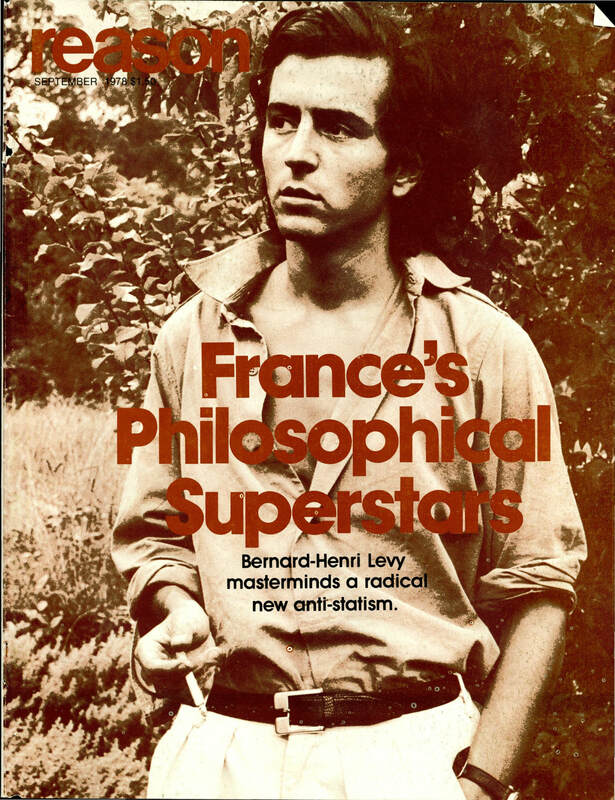 Henri Lévy was born to Jewish parents in Algeria – they moved to France when he was very young. He is a philosopher and writer, author of “Left in Dark Times: A Stand Against the New Barbarism”, among many other books and essays on philosophy and politics. Although a friend of Israel, it is refreshing to have him rooting for Arab Nations. He believes it is the beginning of the Arab Renaissance by the movement of the people for democratisation. He strongly believes that the fanatics and fundamentalists are in the past, and that “enlightenment begins today in the Arab world”. He was gesticulating, with his elegant hands, like only the French know how, saying “the renaissance of the Arab world “e-e-z” what is happening now – I am very “‘a-a-ppy” for the Arabs, for with democratisation of the Arab world, we will achieve Peace – between the Arabs and Israel, as well as the rest of the nations…”. A highly brilliant character, speaking with such passion and compassion on behalf of the long-suffering Arab people, he seemed like a French Lawrence of Arabia. After all, he was born in Algeria, and Jews and Arabs are considered cousins, of the same Semitic heritage, lineage, and ancestry. With a dynamic, highly evolved mind and a popular figure both politically, socially, and globally – it will be the perfect match – the Arabian Jew – helping the Arabs retrieve their glorious past. Monsieur Lévy would like to see a united Arab world, and peace between them and their life-long enemy, Israel. He also says Egypt should be transformed into an age of magnificence and enlightenment that it deserves, and the rest of the world will follow. The Arab nations have a history of culture – not to mention riches in natural resources. That dream could be achieved. Riz Khan conveyed a viewer’s comment accusing the French philosopher as perhaps being an agent for Israel – Lévy’s heated answer was “I work only for myself. I am the agent of nobody; I am the agent of no diplomacy; I am a writer, a free spirit, an agent of myself, and what I believe to be right and the truth”. So what if he’s neither a journalist nor a “philosophe”. So what if his critics accuse him of having a huge ego. It’s enough he cares to speak and defend other peoples by visiting and investigating affairs in the world’s most dangerous regions, like Bosnia, Pakistan, Afghanistan, and more recently, Egypt and Libya. He is a courageous and outspoken intellectual, who has the passion and vision for peace in the most unstable region on the planet. It is by far, far better what he does, than just being a great, but silent, non-active philosopher. I remain an avid and huge fan of this highly charismatic, intelligent intellectual. May he long continue speaking out for peace.